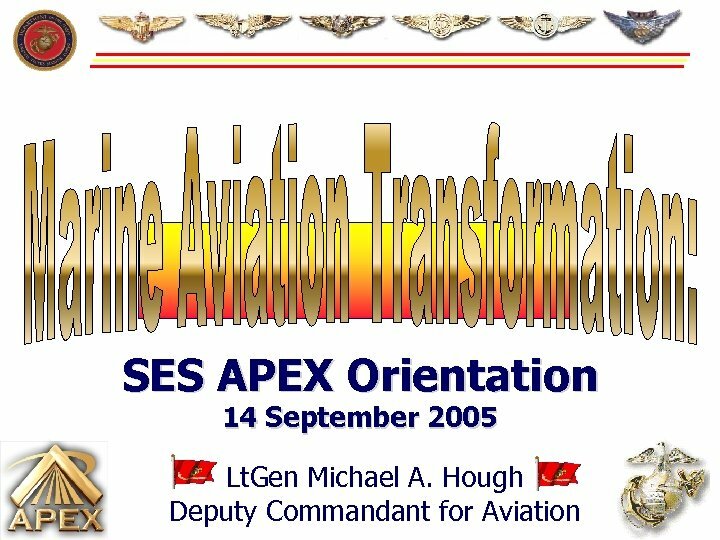 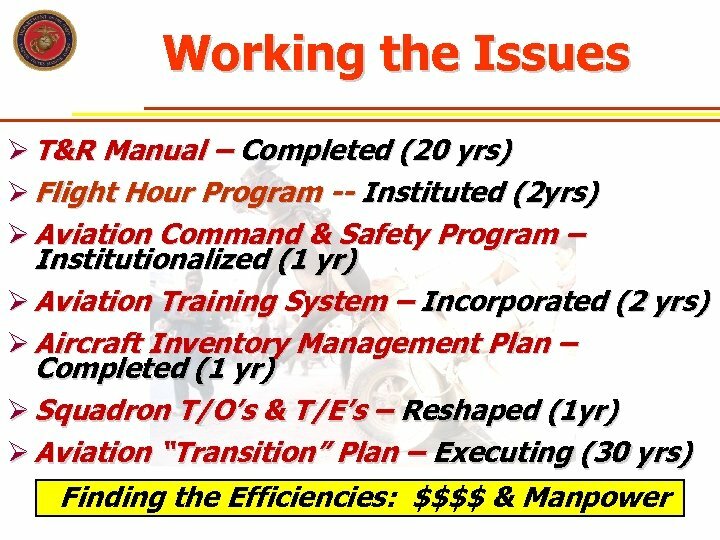 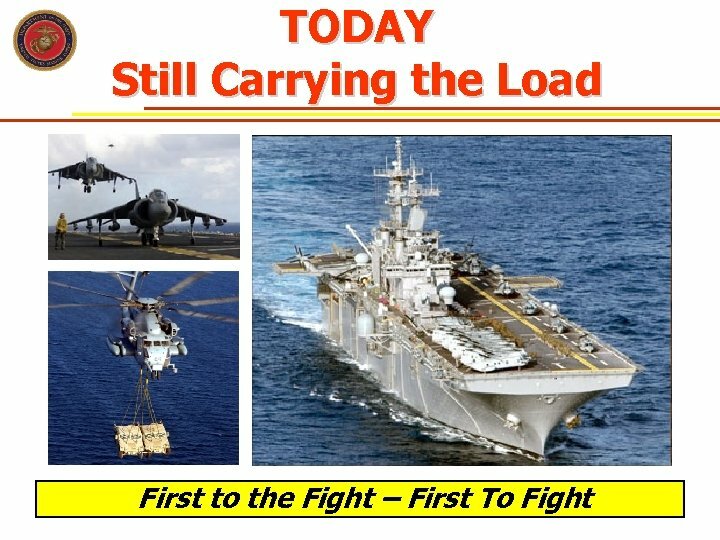 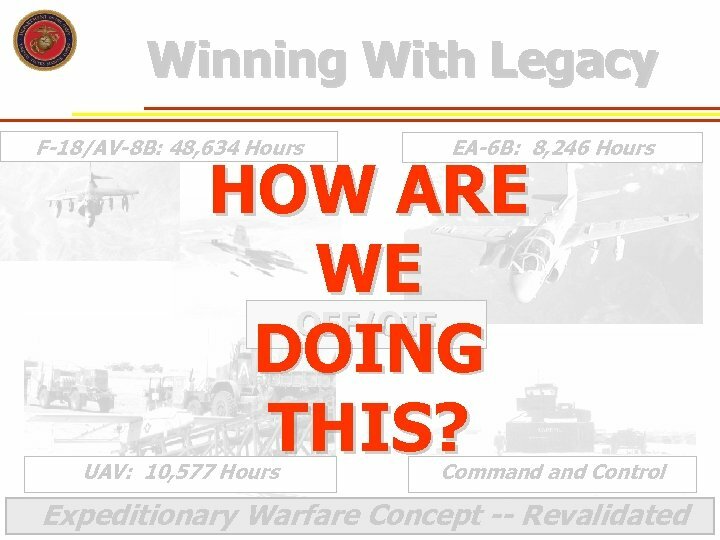 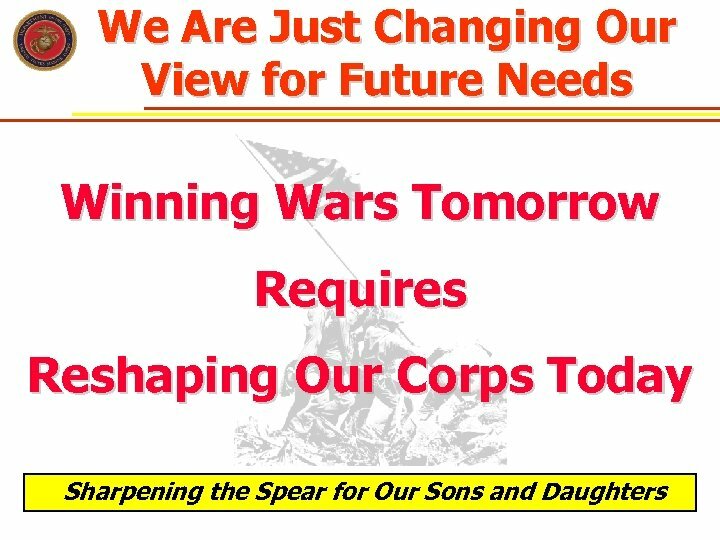 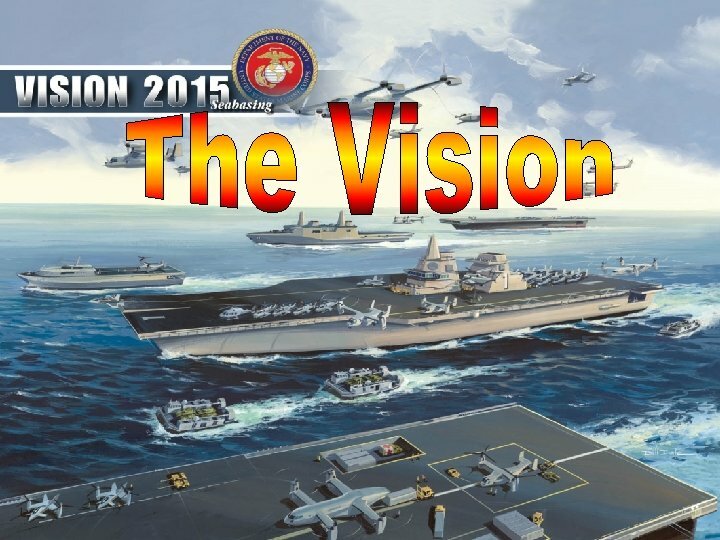 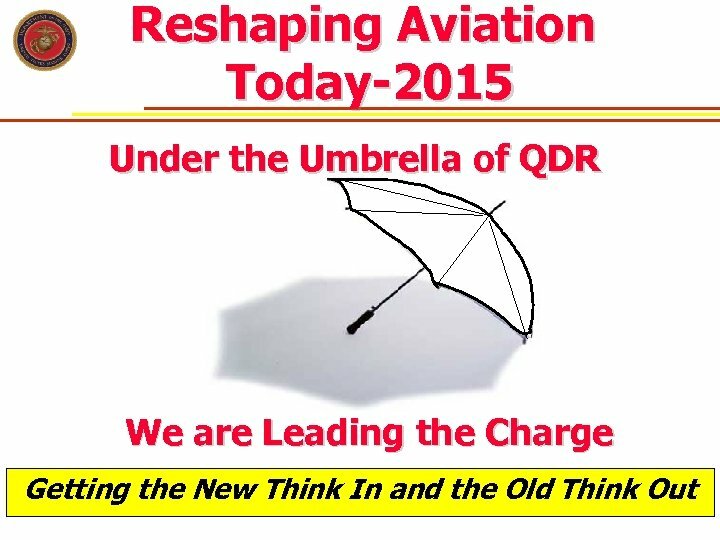 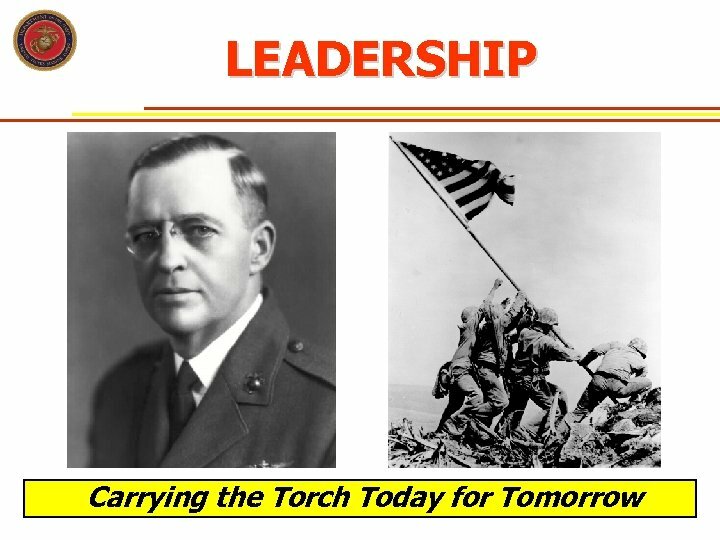 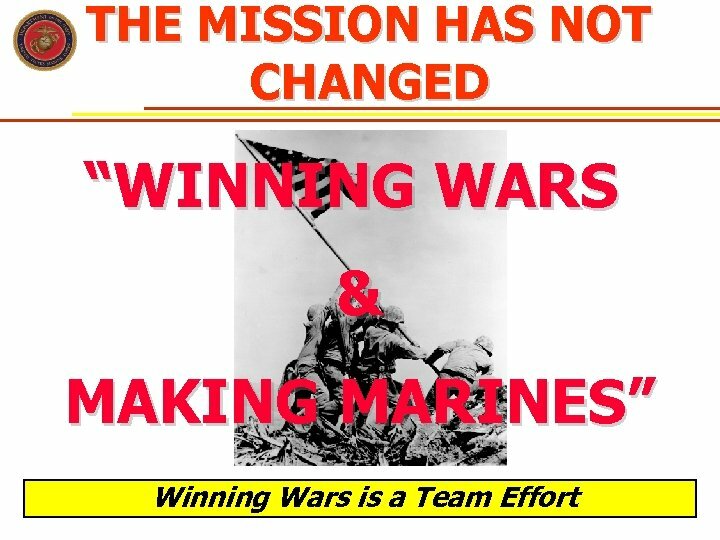 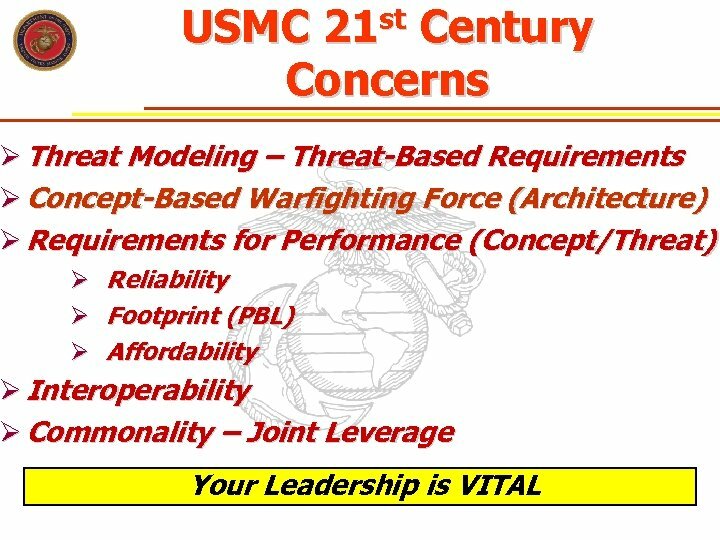 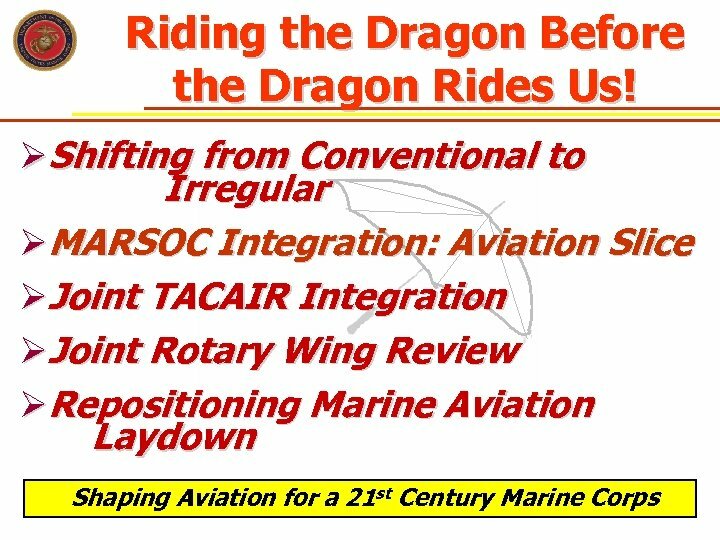 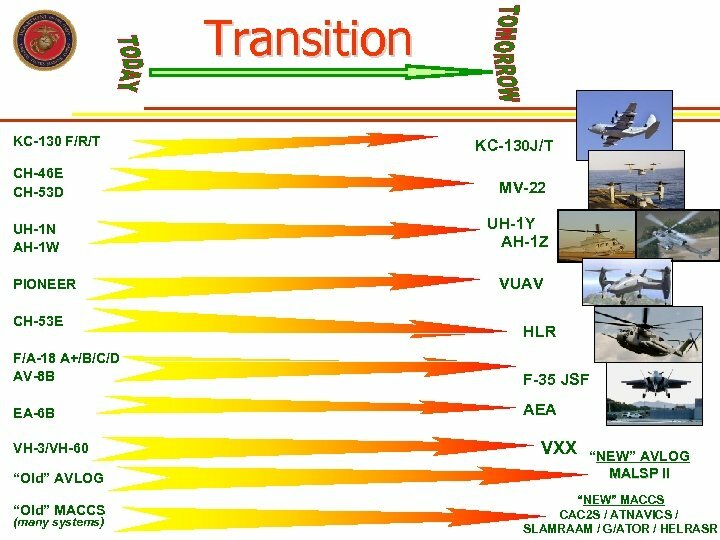 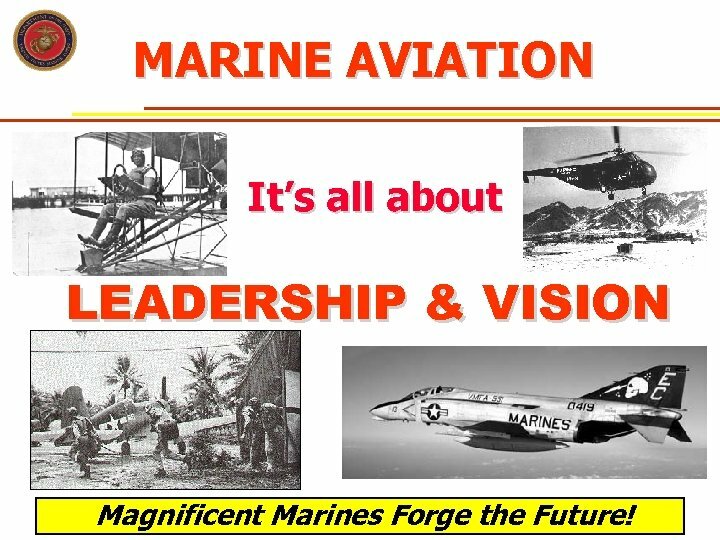 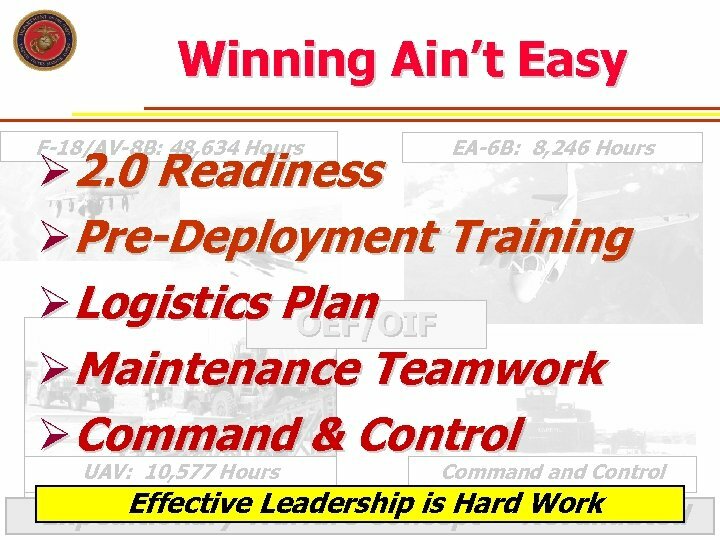 MARINE AVIATION It’s all about LEADERSHIP & VISION Magnificent Marines Forge the Future! 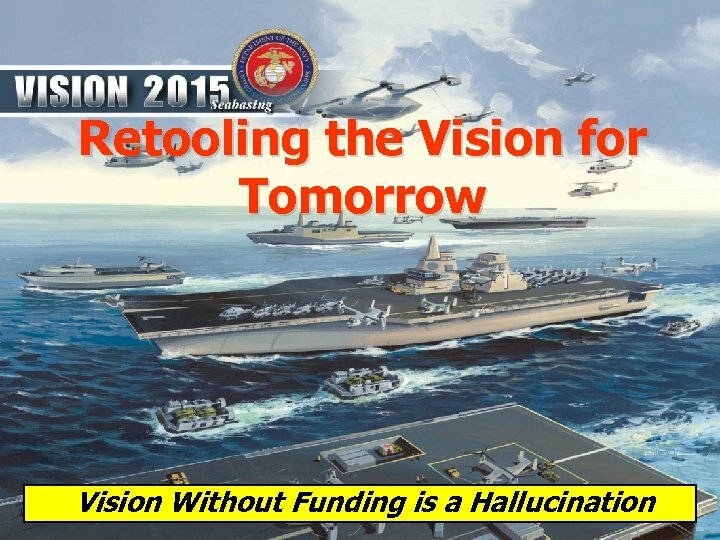 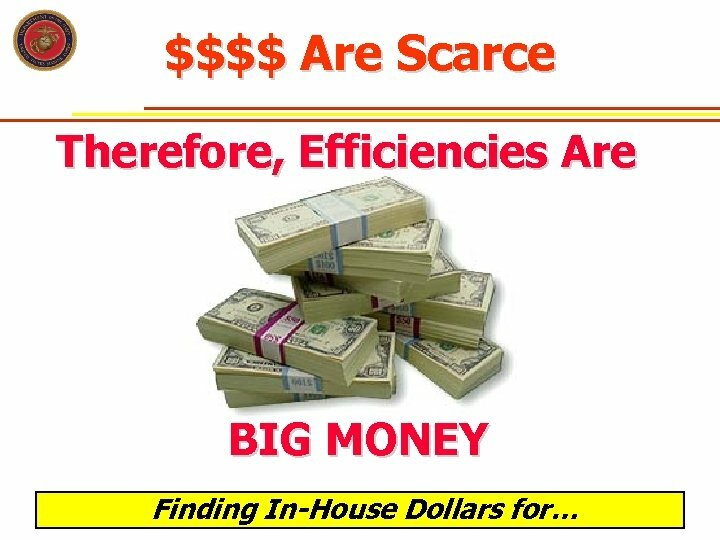 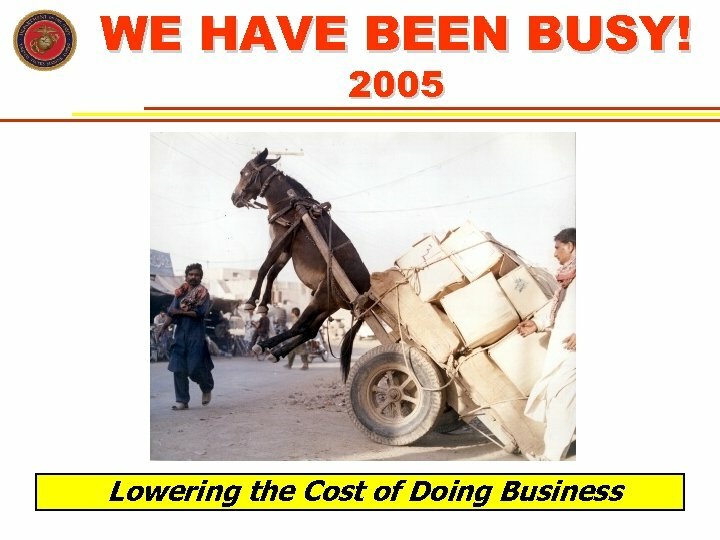 TODAY WE ARE FIGHTING A WAR WITH THAT VISION! 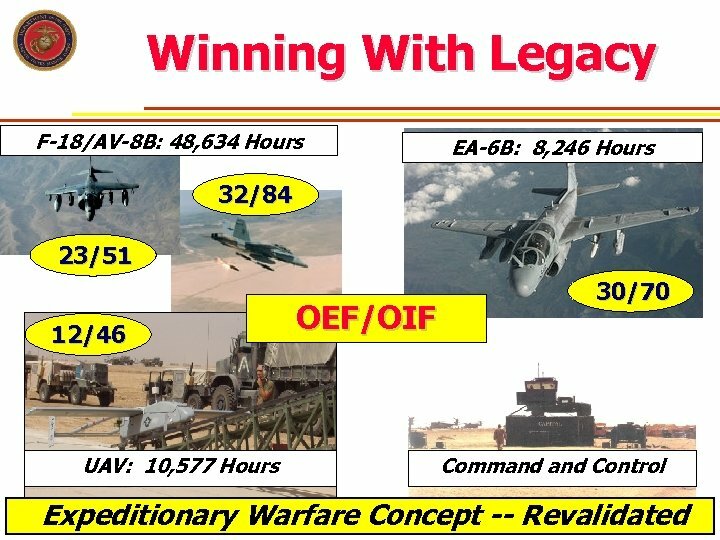 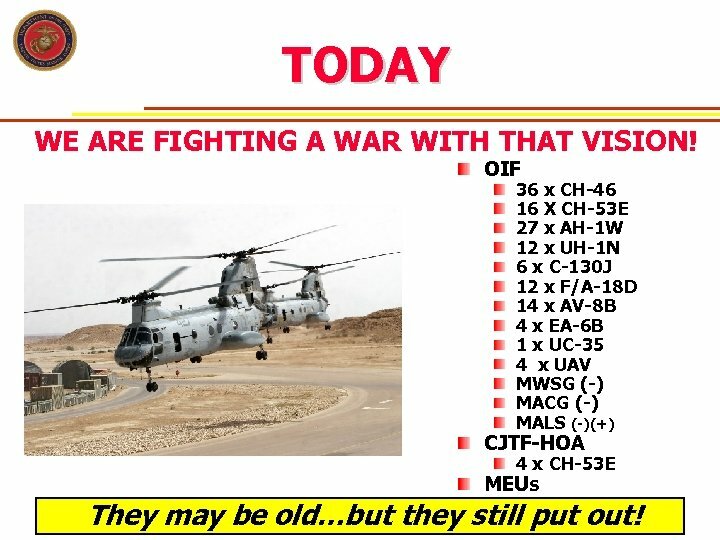 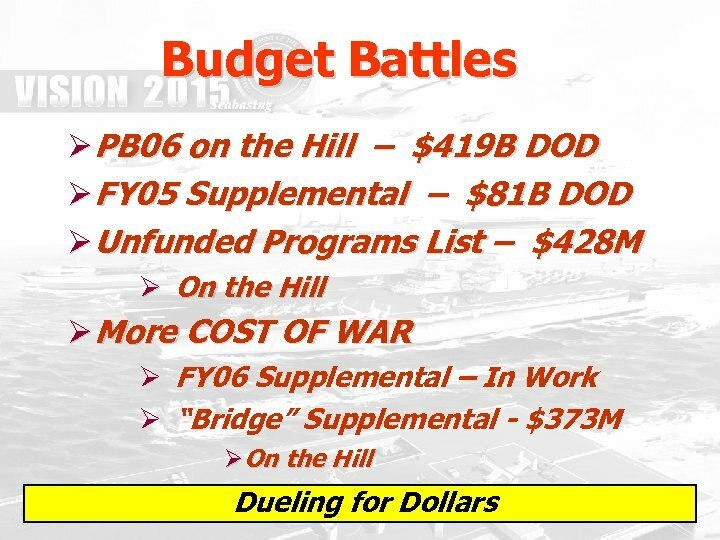 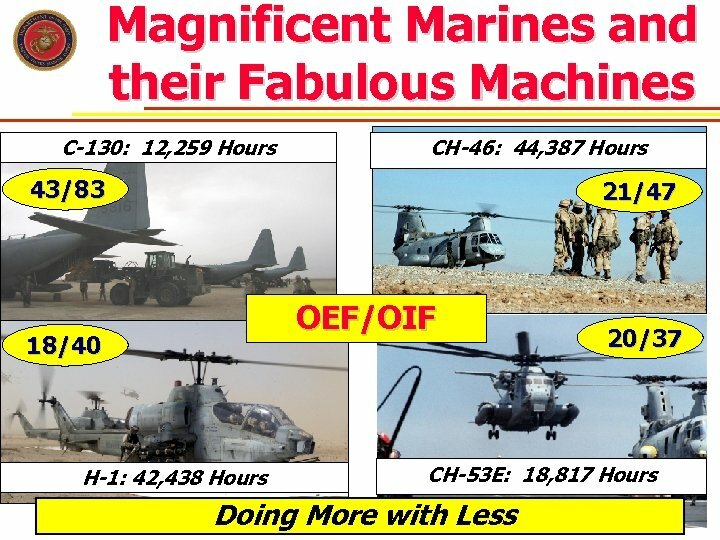 OIF 36 x CH-46 16 X CH-53 E 27 x AH-1 W 12 x UH-1 N 6 x C-130 J 12 x F/A-18 D 14 x AV-8 B 4 x EA-6 B 1 x UC-35 4 x UAV MWSG (-) MACG (-) MALS (-)(+) CJTF-HOA 4 x CH-53 E MEUs They may be old…but they still put out!